Local and traveling golfers love to research courses before playing them, whether it is to gain some local knowledge or to set an expectation before their upcoming round. 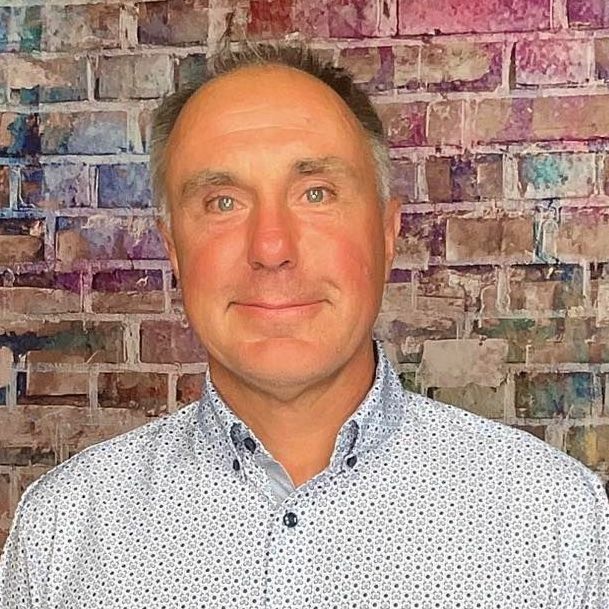 Below is an interview with Indy Thompson who shares some valuable insight about the property, its most talked about holes and the signature dish/drink to consume at the 19th hole. 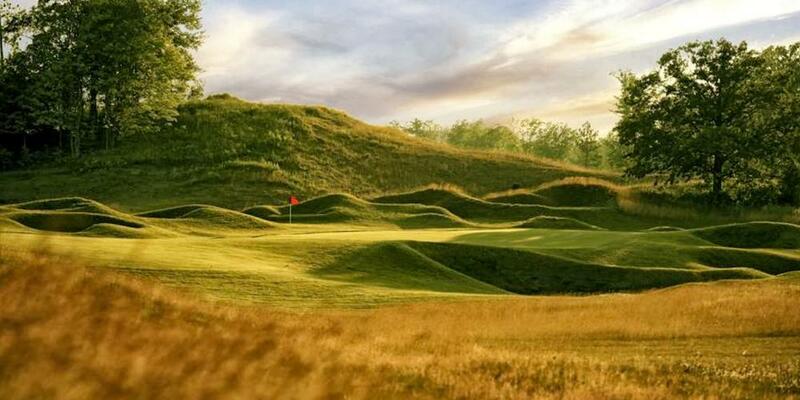 Big Fish Golf Club is a hidden gem the northwest region of Wisconsin. From the "links" design on the front nine, to the parkland, wooded back nine, Big Fish Golf Club offers the best of both "golfing worlds". No other golf course in northwest Wisconsin can say this. Designed by legendary golf course architect Pete Dye in 2003, Big Fish Golf Club entertains the likes of weekend warriors and die-hard golfers alike. 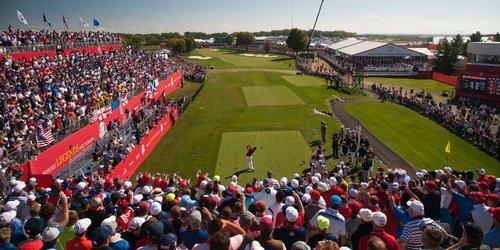 The course plays from over 7,200 yards from the Tournament tees, giving the course a championship flight feel to it. 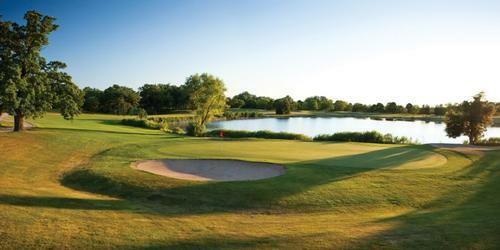 For the golfer looking to have a good time, the Member tees play from a reasonable 6084 yards. Playing from the forward tees, the course plays from 4940 yards and still offers a fun challenge for those who choose to play these tees. In total, Big Fish offers five distinct and unique sets of tees for all levels of golfers. When most people come to play Big Fish, they play because of course condition, courteous staff and the drastic changes from the font nine to the back nine. We pride ourselves on course condition. We offer greens that are player friendly. They are firm, yet able to hold spin on most shots. They are a players' green while still being friendly to all levels of golfers. Our staff has been improved and renewed over the past few years. They are some of the friendliest staff you will find at any golf facility in the area. Finally, the change from links golf to parkland, wooded golf is what makes Big Fish Golf Club a true destination course in the area. For those looking for an experience like Whistling Straights in Kohler, this is as close as you are going to get in Wisconsin. Guests love the front nine openness but rave about the back nine quietness. There is no other course in our area that makes you feel as if you were alone and care free like the back nine at Big Fish. The only sounds most guests are going to hear on the back nine are wayward tee shots hitting the trees! 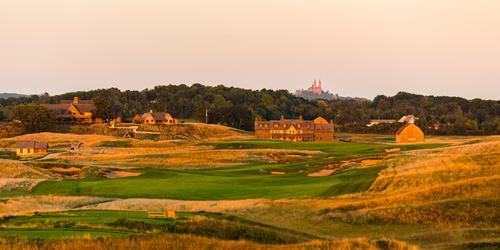 Both the front nine and back nine are truly unique to our area. The course has received significant updates over the past five to ten years that have helped the play of the course. First, the overall condition of the course has improved. Big Fish used to be dry and favor pure "links" golf. Over the past few years, we have begun to understand that our guests want a different playing experience. We have gone away from the "links" feel and have gone with a greener approach. Tees, fairways, roughs, and greens are all softer and with more playability to them. The goal of golf should be to have fun! Our course is green and playable, much different from the past. Also, we have made a larger section of range, so guests feel more comfortable. Many ranges in our area are far too small and don't offer many targets to aim at. Big Fish offers many targets to shoot at, along with ample space for anyone looking to work on their game. We expect more updates to come over the next few years as well! Big Fish offers some very challenging holes for all levels of golfers. Our answer to "Amen Corner" are holes 13, 14, and 15. Starting off the gauntlet, hole 13 is a reachable par 5, only if you have played the course before. It plays 525 yards from the Tournament tees, 475 yards from the Member tees, and 401 yards from the Forward tees. This is a double dog-leg with a large elevation drop. The key is to not go into the gulley that is not noticeable from the tee. Longer hitters can opt to aim just to the right of the last tree in the rough on the left side of the fairway and have a shorter 2nd shot into the green. Beware of the pot bunker located in the middle of the fairway though! Shorter hitters will want to take the safe route and fire down the middle of the fairway to play for getting home in 3. Once the tee shot is hit, the rest of the hole presents itself in a very inviting manner. Hole 14 is very straight-forward. The green is visible from the tee. Playing from 440 yards from the Tournament tees, 351 from the Member tees, and 310 yards from the Forward tees, this long, uphill par 4 is a challenge. From the Forward tees, this hole plays as a par 5. The challenge on this hole is to keep out of the bunkers. There is a fairway bunker on the right side of the hole that is one of the toughest to get out of and multiple greenside bunkers that are a challenge to get out of as well. My tip would be to play to the 150 in the middle of the fairway. This offers the best chance at par on this whole. The hardest hole on the course is hole 15. Playing from 490 yards from the Tournament tees, 420 from the Member tees, and 324 from the Forward tees, this hole commands respect off the tee. This is one of the toughest par 4's in the state of Wisconsin, so having a good tee shot is critical. My tip would be to play to the 150, thought most people cannot reach it, and play your second shot to the left side of the green, or layup in the fairway. There is a large depression on the right side of the green that is very hard to get out of, so playing it safe to the left is the play on this hole. This stretch of holes will either make or break a good round! Big Fish Golf Club is a Pete Dye designed course. Pete designed the course from the ground up and envisioned something great from the unused land. He did just that and more. The front and back feature noticeable "Dye" accents such as two escape routes on every hole and many bunkers throughout the course. We have hosted state am qualifiers at our facility along with WSGA events in the past. 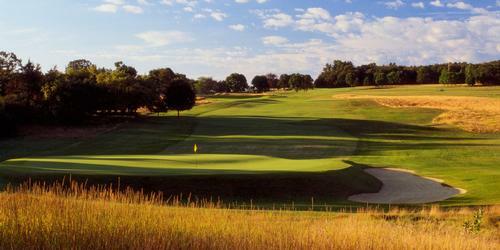 We hope to regain our standing as one of the premier courses in Wisconsin and host these events again. If our progress in the past few years keeps going the way it has, we will have these events again soon. We host various tournaments throughout the year but some of the our best and most well-known events and tournaments are the National Wild Turkey Federation regional banquet, the Lumber Empire senior tournament series, our Big Fish Ladies Invitational, and the Honor the Earth Golf Tournament. We expect to have these events next year as well as some new tournaments in the area. We also host weddings, graduation parties and other events as well. We can accommodate almost any event that someone wants to have! At Big Fish, we offer two bars for before and after the round, along with Mulligan's, our restaurant. Guests can get hooked up with beverages before the round either at the Cart Bar or Mulligan's, hit Mulligan's at the turn for food and beverages. After their round they can choose either bar for some great camaraderie. There is also a practice range and green for those who want to spend their time improving their game. We are offering four choices for food this year. They are cheeseburgers, hotdogs, brats, and steak sandwiches. The steak sandwich is new for this year and sure to be a hit. All meals will be served with a pickle and chips. These meals are quick for golfers looking for something at the turn and are filling as well. Many guests will enjoy a meal after the round at Mulligan's. We offer two full-service bars where our signature drink is our Bloody Mary. It is a very simple recipe, with very simple toppings, but guests love it and the locals will ask for it just about every time they come to play a round!